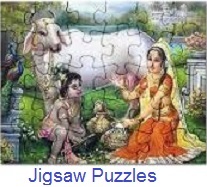 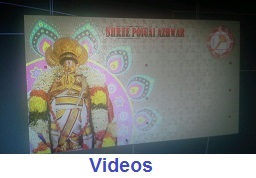 In the first pAsuram AndAL starts the mArgazhi nOnbu, per the rules followed in AyarpAdi (gOkula) in the times of krIshNa and his gOpikas, AndAL learned about this nOnbu from the stories she had listened from her father – periyAzhwAr. 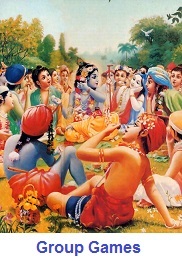 AndAL and her friends are celebrating that they are able to follow the nOnbu in the very auspicious month of mArgazhi. 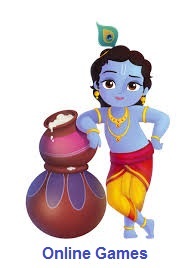 The first half of the line talks about the ways to do the nOnbu, while the second half of the pAsuram talks about what one would get on finishing the nOnbu (being with krIshNa). 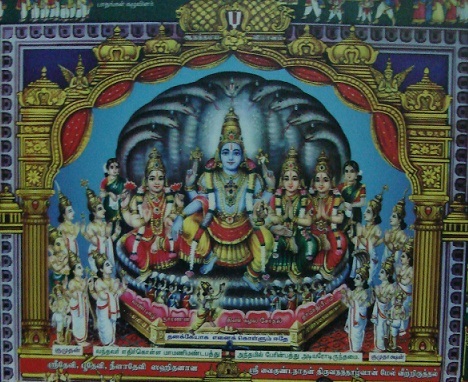 This pAsuram also denotes the “parathvam” of emperumAn in the name nArAyaNa. 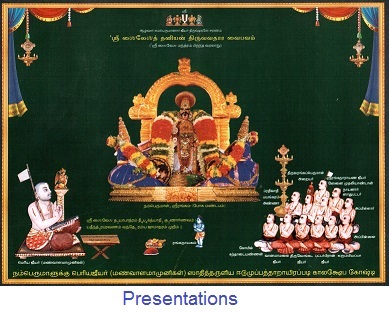 parathvam is the ability of emperumAn to be present in everything and all pervading – like prahalAda says that nrUsimha perumAL is in every small thing, including the pillar that hiraNyan is showing.